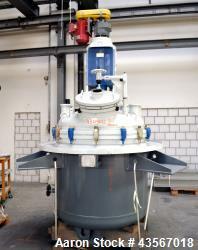 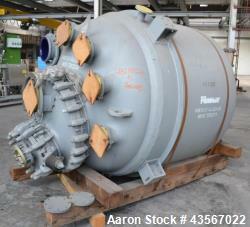 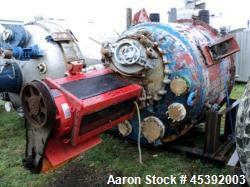 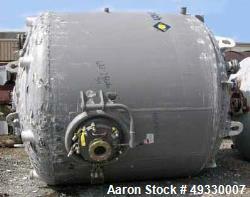 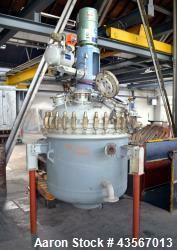 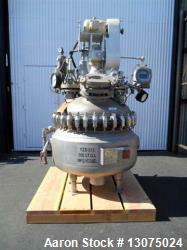 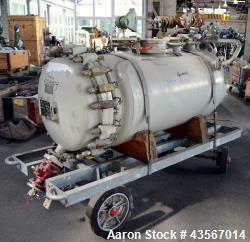 Used-Pfaudler K-Series Approximately 500 Gallon Glass Lined Reactor. 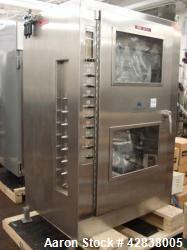 White glass. 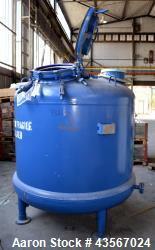 Rated 300 psi/full vacuum @ 450 deg F. Jacket rated 100 psi @ 450 deg F. 7.5 Hp SRW drive with dry mechanical seal. 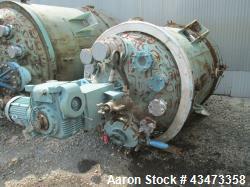 Explosion proof motor. 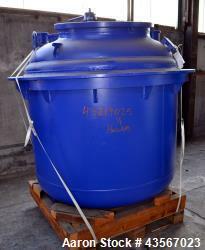 4 Blade cryogenic blade. 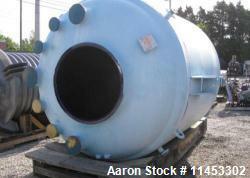 Baffle with dip tube. 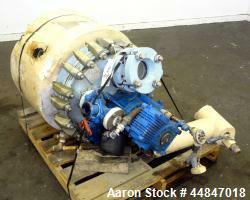 Plug valve. 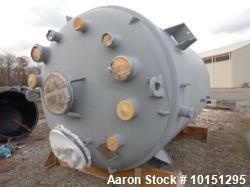 Built 2003.